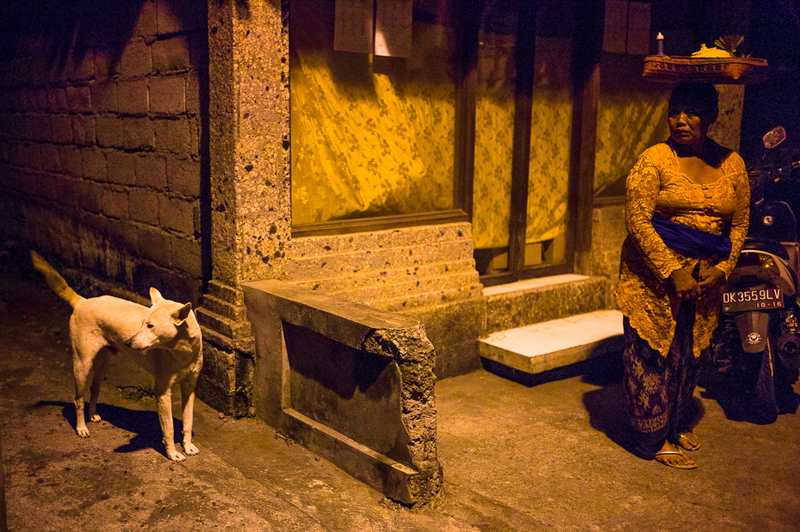 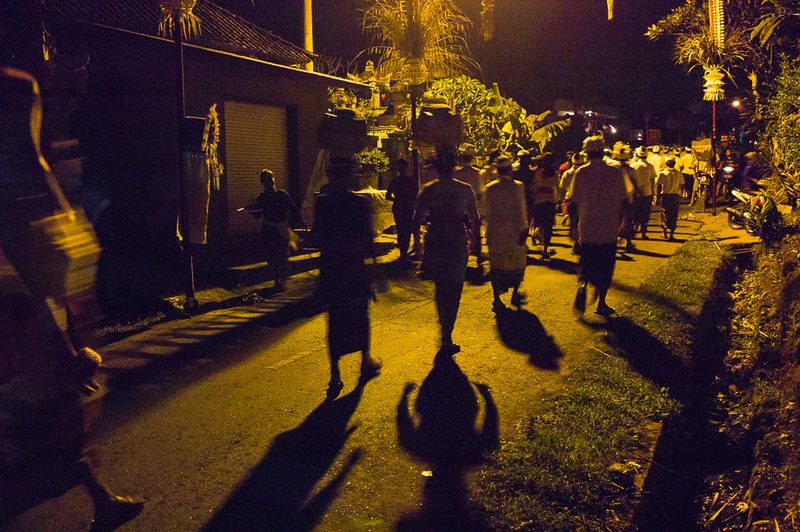 Following up on my previous post, Walking With The Barong, I followed Yande to his village where a huge Barong blessing ceremony was held that night. 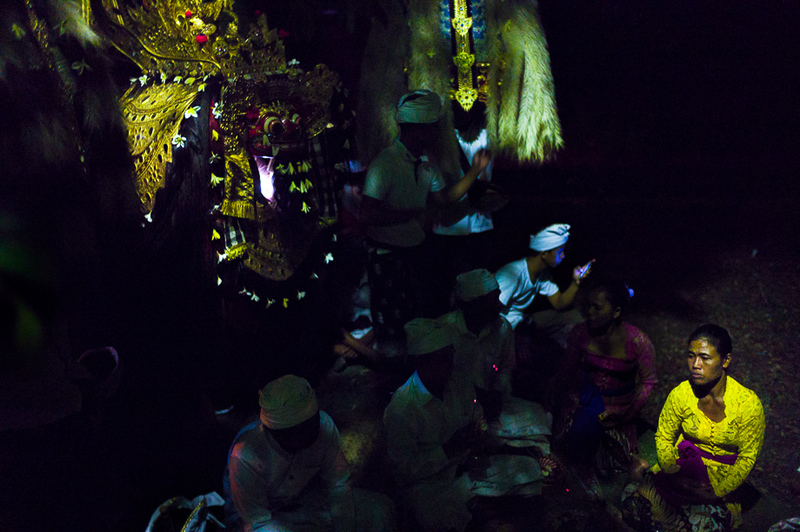 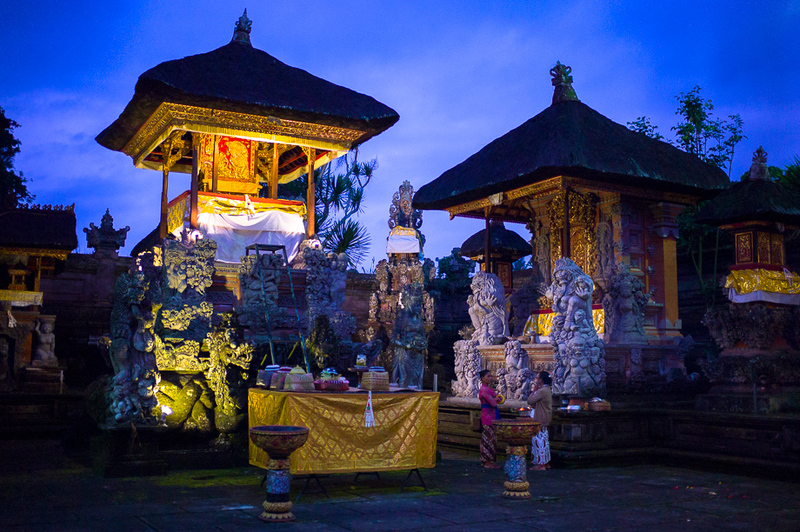 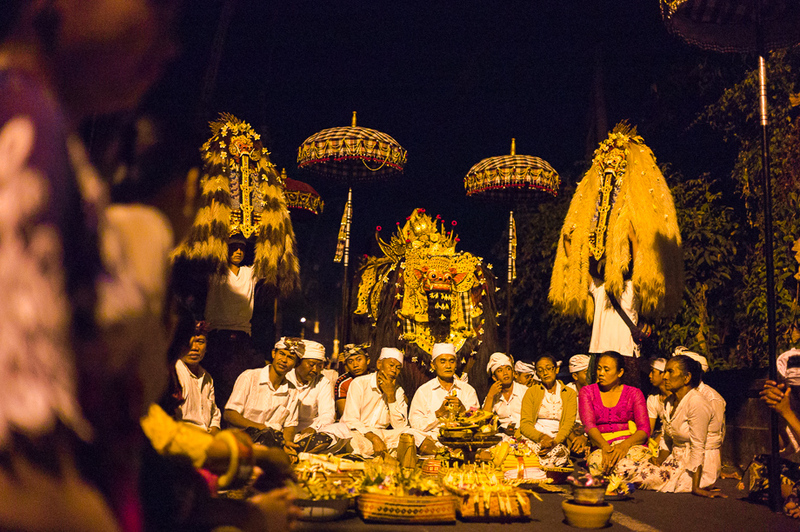 This ceremony is held every quarter of the year where the villagers take the Barong out of the temple and head to three different junctions of the village to perform a ceremony; praying to the Earth, Sky and Water, to bless the village and pray for good harvest. 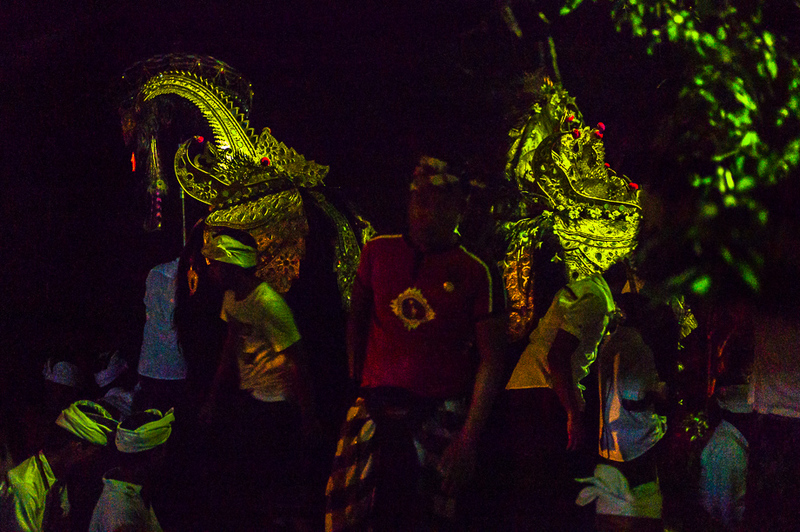 It was a huge affair as the entire village participates and were decked out in their traditional costumes. 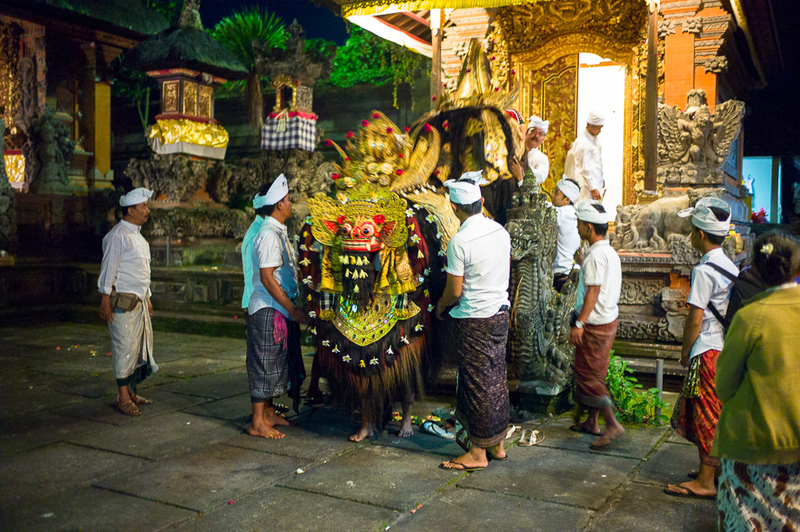 The men took turns carrying the Barong at any one time as it is heavy, elaborate and bullky. 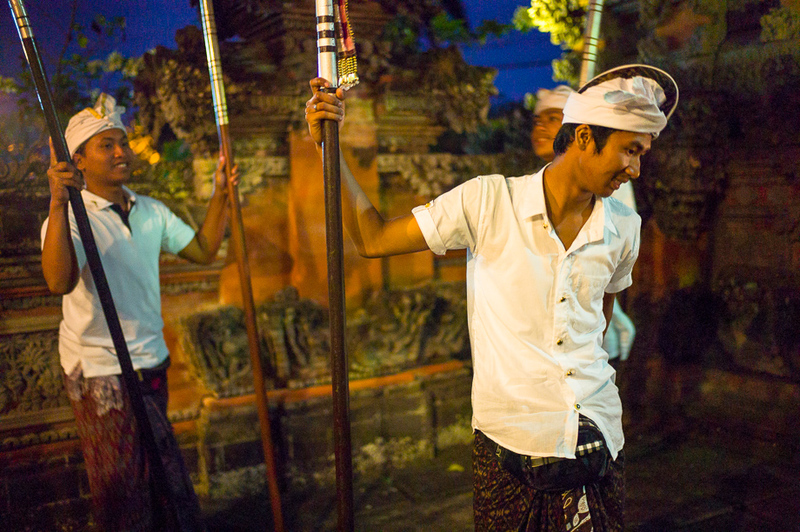 Some of the villagers were in charge of playing traditional Balinese music during the walk while others were involved in carrying different ceremonial items as everyone chatted and followed the Barong. 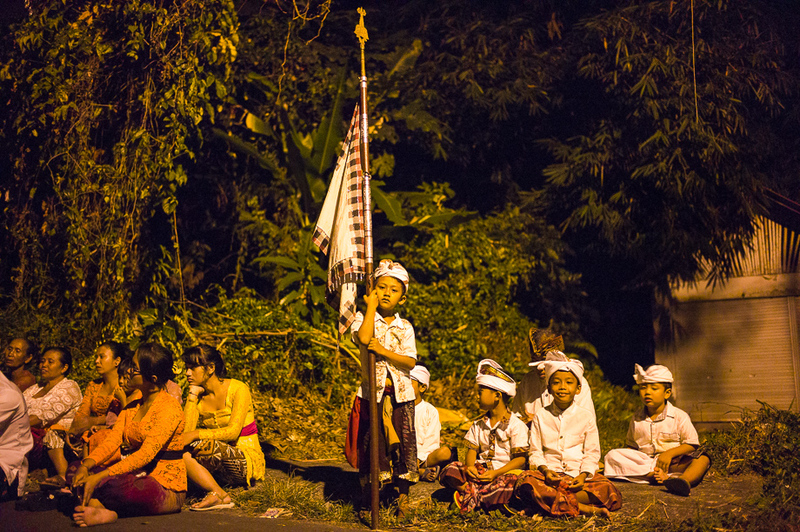 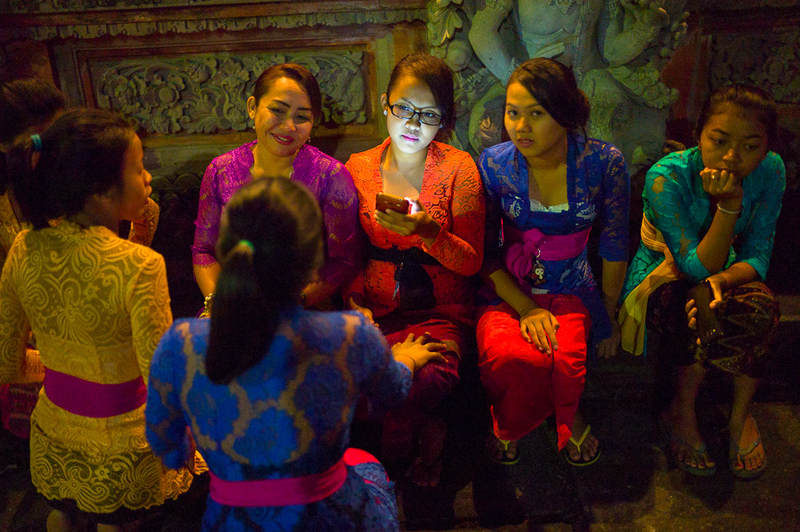 At some point, traffic had to be stopped for about 20 minutes as ceremonies were going on in the middle of the road but the Balinese have accepted it as a way of their life and were rather understanding when they had to wait to pass through. 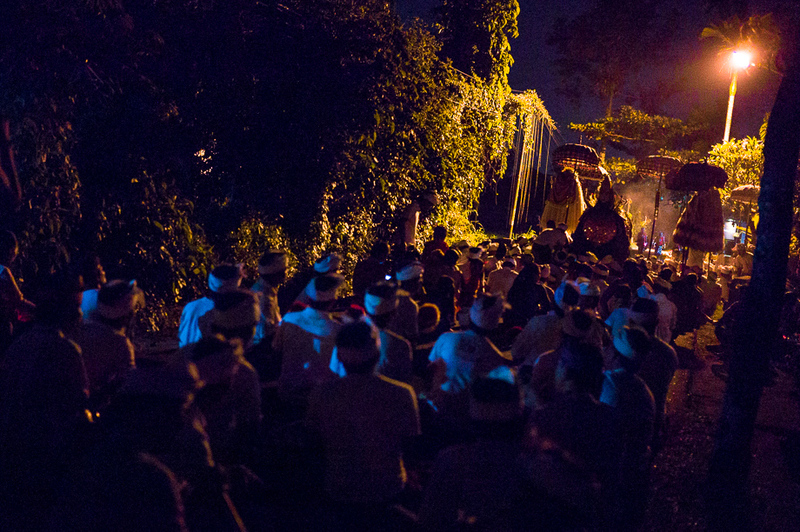 Overall, it was a joyous occasion and I was privileged to had been a silent observer of this entire procession.